When you’re walking around a campground, fairground, or festival grounds, there is nothing that improves the whole venue like festival flags. With the pennant flags and distinctive, tall poles of Dori Pole, your venue will be attractive to the eye and a unique, colorful experience for your guests. Capable of being installed almost anywhere, Dori Pole is the easy solution to give your venue a breath of fresh life. The Dori Pole portable fiberglass pole is the perfect telescoping pole to bring a venue tall and colorful accents to its scenery. With pole heights ranging from 12’ all the way to 22’, you can get poles however tall you need them to best fit your festival space, or even mix and match you pole heights to give a visually-appealing setup. With a variety of simple colors as well as custom colors, you can get the right pattern and hue to match your festival theme. Whether it’s the colors of your hometown, the theme of your festival, or the colors of who is hosting the festival, your festival flags will be the perfect indicator for people that they are in the right place. 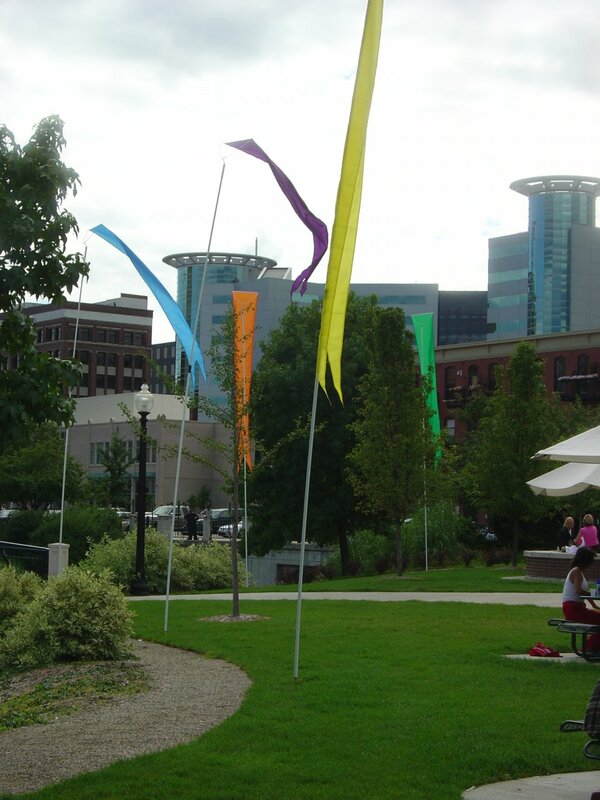 Dori Pole is easy to transport and set up, so you can get your festival flags flying fast. With the options of a ground stake to be installed into earth or wheel stand displays that can simple go under the wheel of a car, your Dori Pole will be up in the air in no time. With prior client venues such as the Olympics, Super Bowls, World Cups, and hundreds more, Dori Pole is the best way to bring color and grace to your festival. The festival flags that we provide are built to last and may be reused year after year to keep your festivals an eye-catching experience.